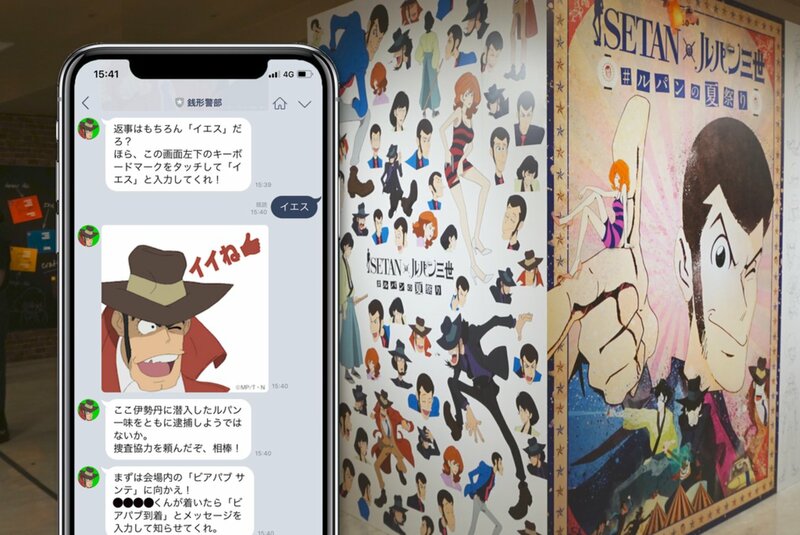 SnSnap developed and furnished a special chat system utilizing a LINE bot for the “ISETAN×Lupin the Third Summer Festival” – an event staged at the main building of the Shinjuku Isetan Shinjuku Store from July 18 (Wed) to 23 (Mon). 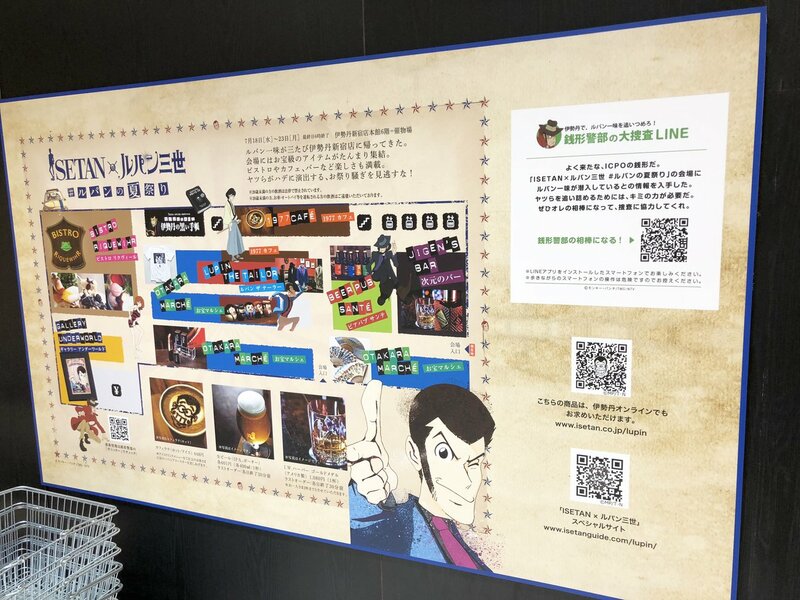 The system was engineered to encourage festivalgoers to circulate around the site by becoming LINE friends with Detective Koichi Zenigata, a key character in the long-running “Lupin the Third” animated saga. 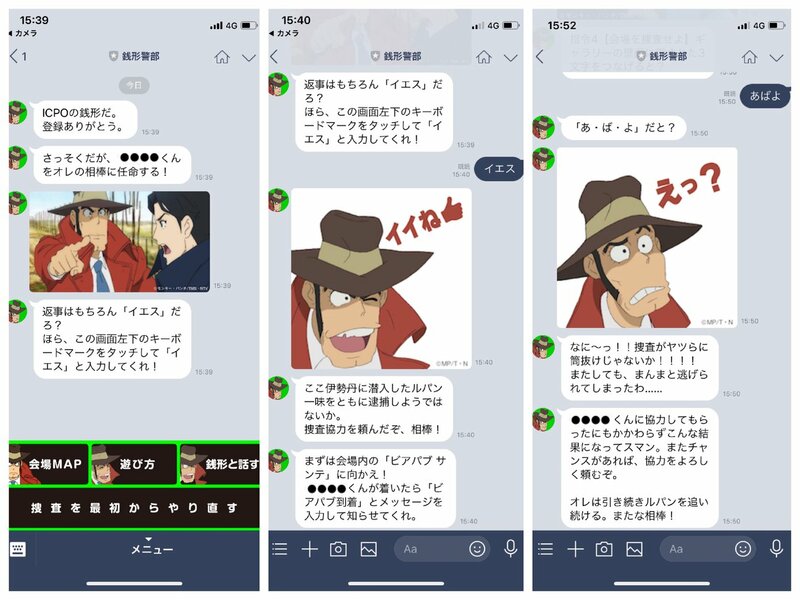 Based on this, they were able to explore the site while relying on messages from the trusty detective as hints to unravel and solve mysteries. 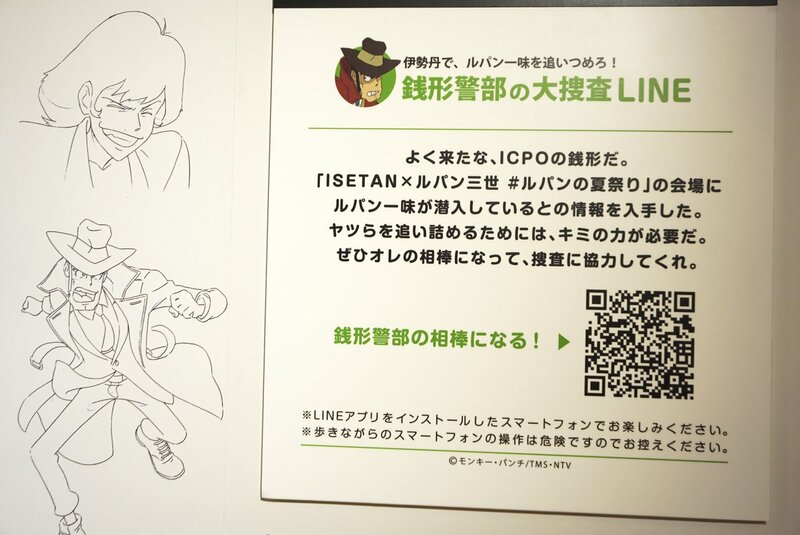 Thanks to the technology, visitors were treated to “out-of-the-ordinary” experiences by communicating with a character in the story on their own LINE accounts. 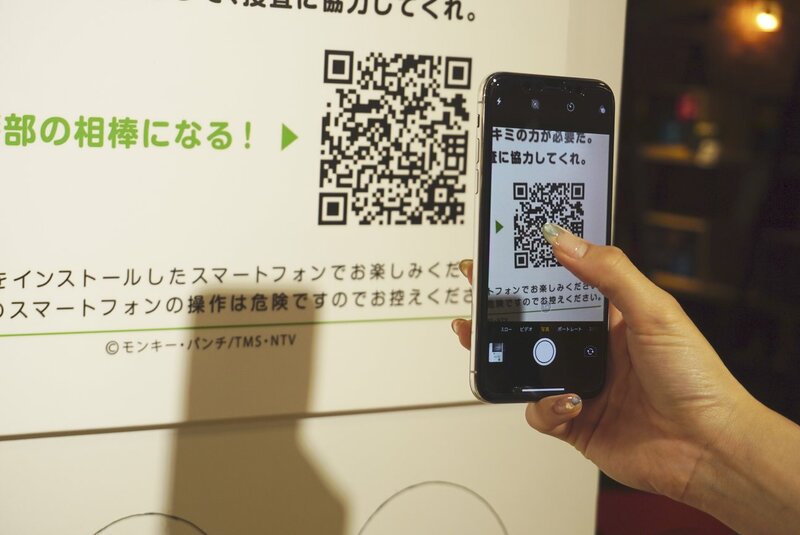 Introducing this scheme, based on a LINE bot, makes it possible to unfold a fully integrated storyline before, during and after an actual event. 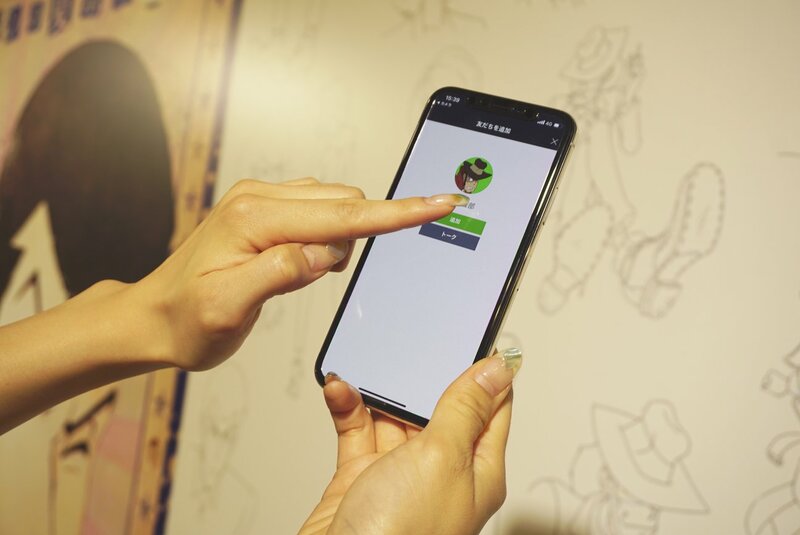 After the gathering wraps up, meanwhile, the system can be put to use in transmitting thank you messages, guiding users to EC sites and otherwise heightening the sense of engagement on the part of those taking part.